What JP instruments would a brass band choose? The traditional sound of the brass band is one that is hard to beat. Achieving that typical sound takes years of practice, individually and as a band. Along with this choosing the right instrument is important. 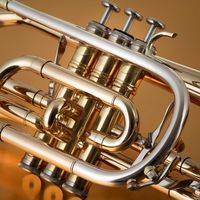 Many of the top section bands are now using the cheaper alternative instruments, but are more than happy using these models instead of the ‘go to’ brass band instrument such as the Besson or Yamaha options. 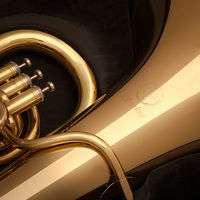 The JP371SW cornet (pictured above) being a large bore, sits in the professional level, and is more than happy competing with its more expensive rivals, the Neo, Prestige and Sovereign. A fair few players who attended the 2018 Butlins Mineworkers Championships at Skegness and visited a stand of JP instruments tried the medium large bore JP271SW and were amazed at the sound and tone quality that this instrument produced, then looked at the price and asked ‘is this a second hand instrument?’ only to look stunned as we told them ‘No – that’s brand new!’. Both of these cornets have been designed in collaboration with Dr Richard Smith of Smith-Watkins which ensures that these instruments both benefit from the prestige of Smith-Watkins instruments. In a similar light to the JP371SW Cornet, the JP372 Sterling tenor horn (pictured above), the JP373 Sterling baritone horn and the JP374 Sterling euphonium are fantastic professional level instruments, again for a fraction of the price of their main competitors. The trombones that we are being played much more frequently now, are the JP Rath trombones. Designed in collaboration with Michael Rath of Rath trombones, these fantastic instruments all have a Rath designed leadpipe allowing a free blowing and open sound. From the straight Bb tenor trombone, the JP231 Rath medium large bore, all the way down to the JP333 Rath double trigger bass trombone (pictured above), all of these instruments would fit nicely in any brass band trombone section. Finally, the JP377 Sterling EEb tuba (pictured above) – a pro level tuba, has the most beautiful tone and quick responsive valves. Again, an instrument of pure quality for a fraction of the price of its nearest competitors. This instrument, sat alongside the JP378 Sterling BBb tuba, would make the engine room of the band sound fantastic, look fantastic, and most definitely, ensure that the players felt fantastic as well.